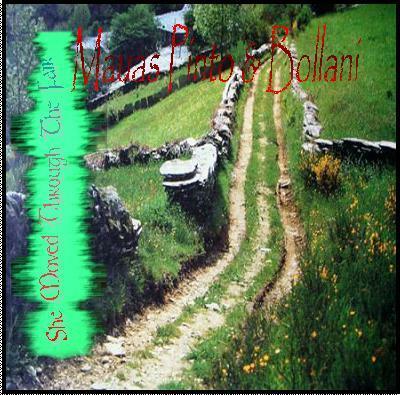 It was on October 2006 when I was introduced to Gabriel Bollani a neighbour musician who has the same passion for virtual developments as meDue to a proposal of a local label about recording a chill out album, our duet raised as part of this experimental project intending to create a New Celtic approach to traditional songs based on the fusion of celtic instruments like irish harp, whistles, bagpipes, bodhran, assorted guitars with other virtual sounds and instruments. Basically our intention is to work as a duet with guest vocalists.On this song the vocals were recorded by Patricio Villanueva, the lead singer of Chaneton, he owns a unique voice similar to Peter Gabriel’s, endowing thus an outstanding touch to our new version of this song. It was on December of 2006 when wepublished our 1st demo cut: “She Moved through the Fair” on the local music magazine “Mellotron” which is published along with a CD sampler. Presently we have recorded all 13 tracks of this new work which we hope to finish soon in order to share it with you. You may download for free this song demo from our Soundclick Band Page, or from the Elven Lair google group files.